Preheat oven to 350 degrees, or place slow cooker liner in crock pot. Combine potatoes, sour cream, soup, margarine or butter, salt minced onion and cheddar cheese and mix well. Pour mixture into greased, shallow 2 quart casserole. 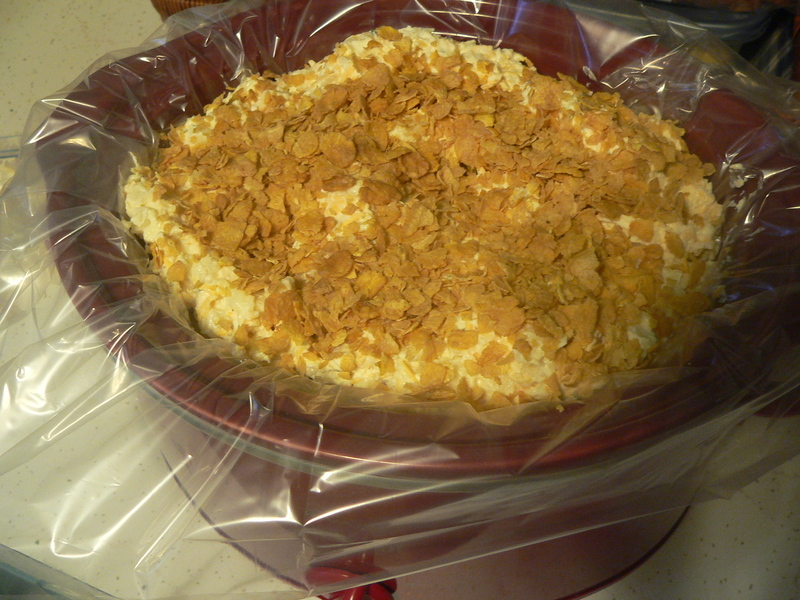 Sprinkle with corn flake crumbs and bake uncovered at 350 degrees for about 50 minutes or until brown and bubbly. These can also be easily prepared in a slow cooker. Just omit the corn flakes and sprinkle them on for the last 30 minutes or so. Allow about 3 hours on high for the potatoes to cook through. This is a family favorite, and very easy to prepare ahead.